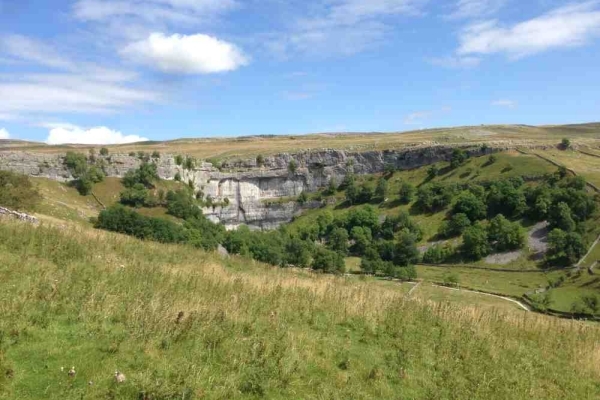 Starting from the National Park Centre car park, turn left into the village, past the Buck Inn, then take the left hand road signposted Malham Tarn. Continue through the village passing Townhead Barn on your right (have a look inside this typical dales barn, National Trustowned and open to the public) continue up Cove Road towards Malham Cove and turn right into the field. Follow The Pennine Way signpost, this leads you towards the Cove and then right up the steps to the top of the Cove. 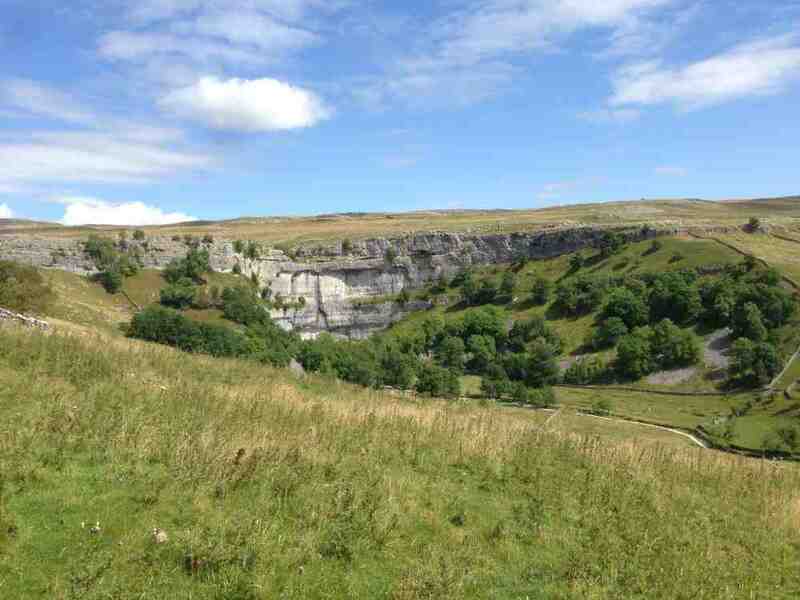 Admire excellent views across Malhamdale. Carefully go aross the Limestone Pavement, and go over the stile, up the slope bearing right, following posts with green dots on. Straight on (ignore Pennine Way sign), and cross stiles over the road and follow signpost for Gordale Scar. Then down hill and left onto the road, (Stop for brew at Tea Van!) and continue over Gordale Bridge, turn left again through gate, to follow path through campsite to Gordale Scar itself. Admiregeology. Turn around, retrace steps back to the road, back over the bridge, and down road until you reach footpath sign on left saying Riverside Path Malham. This takes you past Janet’s Foss waterfall, along the riverbank through the wood, then through fields over two stiles to rejoin The Pennine Way, turning right to go back towards Malham village and the starting point.